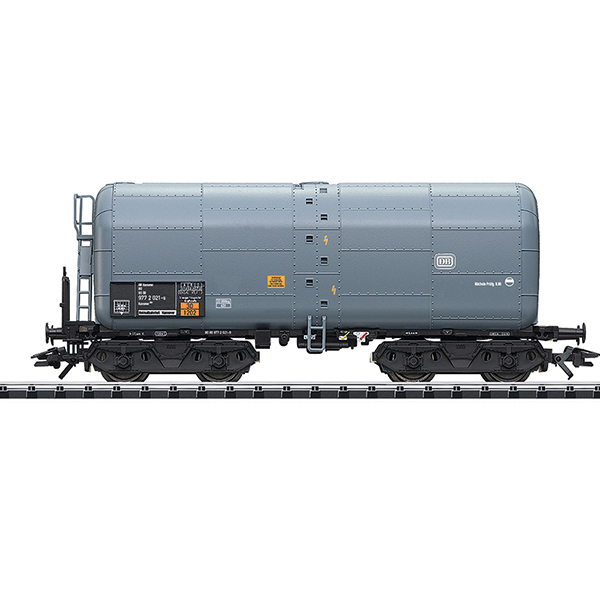 Prototype: Heavy oil tank car, used on the German Federal Railroad (DB). Four-axle railroad maintenance car type. Brakeman's platform included. Model: This is a heavy oil maintenance car with a new car number. The ladder at the end and the detailed sheet metal sheathing are modelled. The car has NEM coupler pockets and a close coupler mechanism. Length over the buffers 13.1 cm / 5-1/8". AC wheel set: 4 x E700150.